Opera North has announced that 40-year-old Serbian conductor, Aleksandar Marković will become their next music director. The current music director Richard Farnes leaves in July 2016 following the completion of Opera North's Ring Cycle. Aleksandar Marković was last seen with Opera North in Autumn 2015 when he conducted a fine account of Janaceck's Jenufa (see my review). He will launch Opera North's 2016/17 season conducting Richard Strauss's Der Rosenkavalier. Born in Belgrade, Marković studied in Leopold Hager’s conducting class at the Universität für Musik und darstellende Kunst Wien, and he also attended masterclasses at the Accademia Musicale Chigiana in Siena. 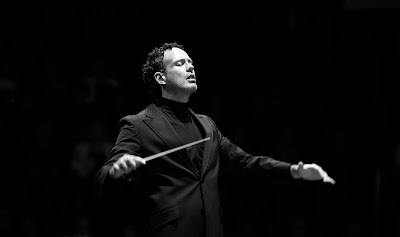 Marković was music director and principal conductor of the Brno Philharmonic Orchestra from 2009 to 2015, and chief conductor of the Tiroler Landestheater in Innsbruck from 2005 to 2008.